That’s right, if you come to Texas and kill somebody, we will kill you back. That’s our policy. That would be funny, except that it isn’t. Most of us do not need any convincing regarding the seriousness of this issue. 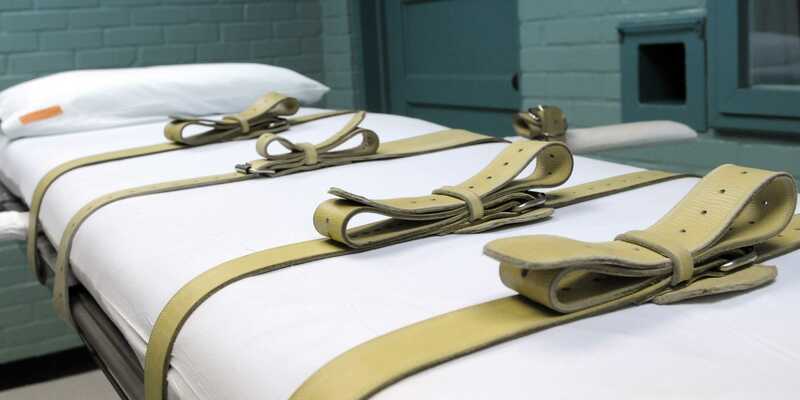 In recent weeks the debate about the usefulness and appropriateness of the death penalty has been re-ignited. It is my firm belief that as a Christian you should have an opinion on this. Your opinion should not be based on quippy sayings like, “What goes around comes around.” Your opinion should be based on the Scripture… all of it. We’ll finish with the Scripture part. Allow me to make an intellectual appeal in the middle. In addition to what the Scriptures have to say about this issue, I would also appeal to the same sense of justice that has previously led many Christians to side with the death penalty. No one can deny or ignore the finality of death. There are no do-overs with the death penalty. Sadly there are far-too-many documented cases where innocent men were put to death. This should at least bother us. What if the sentence was unjust? Finally, I would like to end with the Bible’s take on the death penalty. I am well aware of the Old Testament passages that contain the title of this post. So, yes, I agree that at one point in time the death penalty was instituted by God as part of the old covenantal system. However when Jesus references this very text in Matthew 5, he does so only to highlight that the New Covenant is the fulfillment of what was incomplete under the Old Testament law. This could certainly include capital punishment. Have discussions and debates. In so doing, understand that many of the cultural laws of the Old Testament have been relieved by coming of Jesus. The gospel trumps all. So Rob, are you putting Genesis 9:6 in the same category as the ceremonial/cultural elements of the Mosaic Law? Also interested as to your treatment of Romans 13.